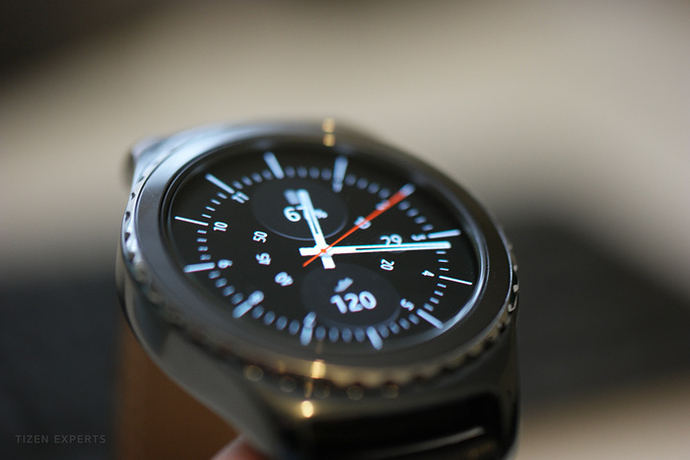 The Gear S2 is making its way to retail stores worldwide at this point, but many consumers may or may not have the time currently to visit their local Best Buy or retail store to see the Gear S2 up close and personal. Perhaps at Thanksgiving, maybe, but now, there’s too much workload in the way for many working worldwide citizens. If there’s any way to make life slightly more convenient, then the Web is the means by which to do it. Are you wanting to pick up the Gear S2? Perhaps you’ve heard about the smartwatch’s circular display (and you prefer circular smartwatches) and want to see if it’s worth your investment. Well, a new Gear S2 unboxing video may give some insight into what you’ll experience when you visit your local retail store – that is, if you want to pick up the Gear S2 Classic (not the Gear S2 Standard or Gear S2 3G version). In the Gear S2 video, you can see the Classic model with its genuine leather band and rotating bezel that stands out on the watch display. 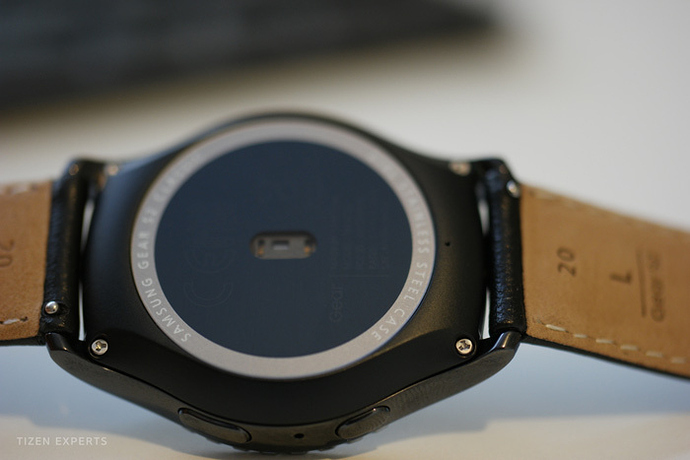 The Gear S2 Classic, as does the Gear S2 Standard and Gear S2 3G, have two buttons on one side of the display that allow you to navigate the display and go back to the main page if you want to get out of whatever you’re doing. 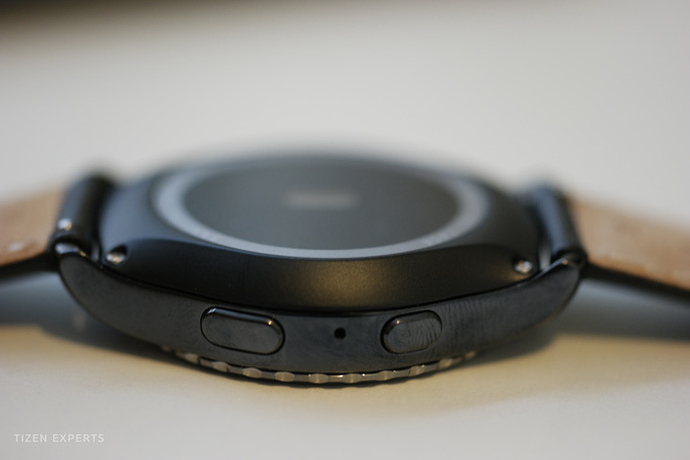 The wireless charging dock works well with the new Gear S2 Standard, Classic, and 3G smartwatches; unlike last year’s Gear S, which mandates the use of a “snap-in” charging cradle that can be rendered useless after frequent use (I’m replacing my charging cradle after just 10 months due to normal wear and tear), the new Gear S2 (whether Standard, Classic, or 3G models) will allow you to simply sit your watch down on the dock, walk away, and have it charge without regard to charging placement or cradle pins that can wear out after a while. 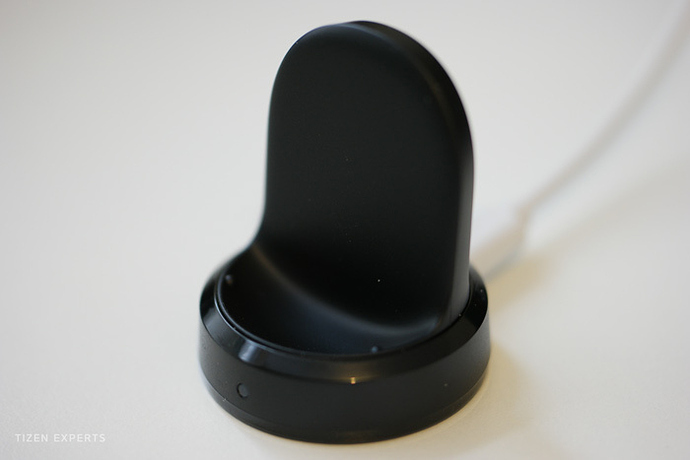 Not only is the new wireless charging dock more convenient, it’s also guaranteed to last longer with less frustration from users than before. The source below also took photos the device in the video to allow you to view the device for more than just a split second. 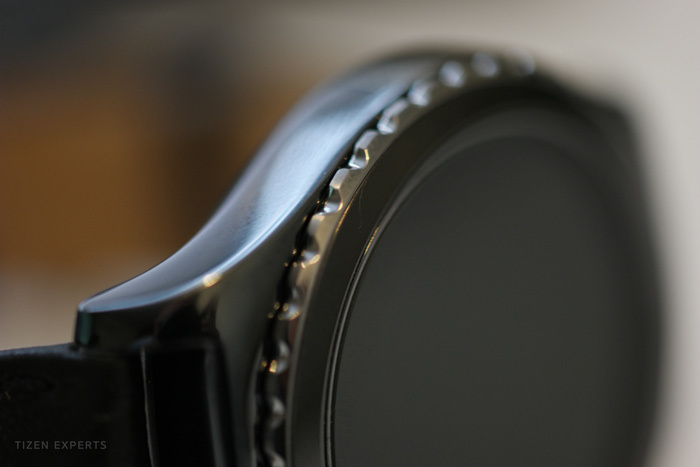 You can view photos of the Gear S2 Classic below. The Gear S2 Classic is Samsung’s take on traditional smartwatches for those who want something resembling current luxury watches (Rolex, for example) that are often characterized by a circular shape. Samsung has also priced the Gear S2 Classic above that of the Standard Gear S2: whereas the Gear S2 Standard costs $299, the Gear S2 Classic will cost $50 more ($349), and this is just for the Bluetooth Classic model. There is no Classic 3G model at the moment, but the Gear S2 3G has the same price as that of the Classic model. 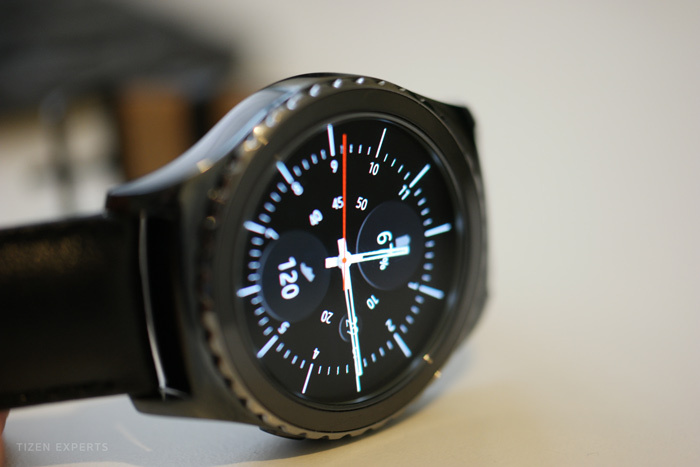 The Gear S2 unboxing video linked to above is but one; Samsung has published its own unboxing video, so you can watch both and make up your mind. At any rate, those who want a genuine leather band and a traditional look and feel will be right at home with this smartwatch. 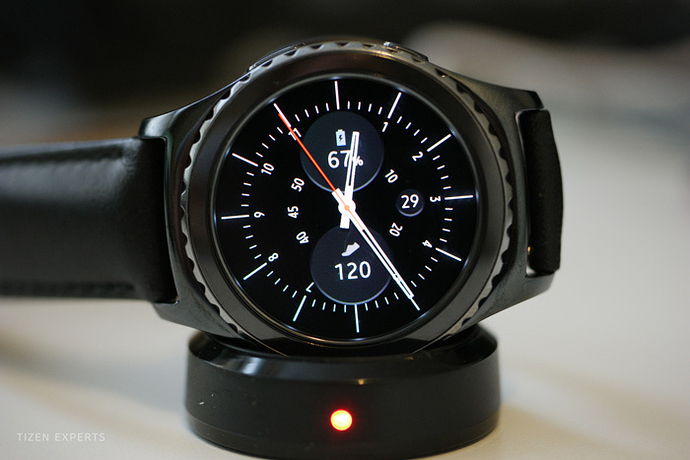 For those of us who want a more futuristic look, however, the Gear S2 Standard and Gear S2 3G models will suffice. Do you like the Gear S2 Classic more than the Gear S2 Standard, or do you like them equally? Which one do you plan to buy? Would you like to see a 3G version designed like the Classic model, or are you content with the Standard look on your Gear S2 3G model?